Ralph "Bud" Rollin Drury, Jr. Celebrating the life of Ralph "Bud" Rollin Drury, Jr.
Be the first to share your favorite memory, photo or story of Ralph "Bud". This memorial page is dedicated for family, friends and future generations to celebrate the life of their loved one. 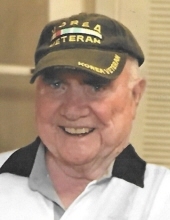 Obituary for Ralph "Bud" Rollin Drury, Jr.
Ralph “Bud” Rollin Drury, Jr. died on Tuesday, November 13, 2018, at Singing River Hospital in Pascagoula, MS, surrounded by his loving family after a long illness. He was preceded in death by his parents, Ralph R. Sr. and Nina Lois Drury, his sister Dorothy Lois Drury and his daughter Lynette Hudson Coleman. Ralph was preceded in death by his wife of 33 years, Mary Addie Dobson Drury. He is survived by their children Thomas “Tommy” (Stephanie) Drury of Wade, MS, Mary Lois Drury (David) Gulley of Little Rock, AR, Deborah “Debbie” Drury Lawrence of Pascagoula, MS, Ralph “Bubba” (Tiffany) Drury III of Mobile, AL, Christopher “Chris” Drury of Gautier, MS. He is also survived by his devoted wife, Beverly June Drury, step-son Edward “Eddie” (Annette) Thorn of IN; son , R.V. “Buddy” (Sheila) Hudson of Charleston, SC, brother, Walter “Buddy” Drury, and uncle Harry S. Drury both of NC; and grandchildren, Ashley Drury (Pete) Costello, Kaitlyn Drury, Jonathan (Katie) Gulley, Jennifer Gulley, Whitney Lawrence (Adam) Carter, John Matthew Lawrence IV, Jeremiah “Jared” (Rachel) Lawrence, Alexander “Alex” (Maria) Lawrence, Delaney Drury, Kinsley Drury, Nevaeh Drury, Noel Fortier, Jonah Fortier, Heather Hudson (Daniel) Jackson, Holly Hudson (Bryan) Kindley, Matthew Ryan Hudson, Stacey Coleman (Shane) Kirk, Scott (Deirdre) Coleman, Shipp (Stephanie) Coleman, Shane (Farrah) Coleman, Eric (Andie) Thorn, and Victoria Thorn (Alex) Davis; as well as 21 great-grandchildren. Ralph was born June 26, 1930, in Salisbury, NC, where he lived until joining the military at age 18. He served in the Navy as a BTC and in the Army as a Specialist 5 TC. He was a veteran of both the Korean and Vietnam War and while he served he traveled the world. He moved to Pascagoula in the sixties and briefly worked for Ingalls Shipbuilding. In 1970, Ralph began his employment with Singing River Hospital System. He established and became the Director of Construction and Design system wide where he was well known and respected. He retired after 32 years of service. He and his wife June met while they were employed at SRHS and have been married for 23 years. They enjoyed traveling and camping with their RV group “Friends on Wheels,” with whom they shared much fun and many memories. He loved his friends, his RV group, and the men and women who worked with him at SRHS. He considered all of them a part of his family. Ralph was the kind of person who would rather watch funny cartoons or old Western movies. In his spare time, he also enjoyed hunting, golfing, fishing, and boating. Sitting around the campfire with friends, telling “tall tales” (and he had a million of them!) was a favorite past time of his. He loved God, his family and friends with steadfast devotion. He will be remembered by all with smiles and laughter. Ralph was “one of a kind,” “a legend in his own time,” and he will be greatly missed. In lieu of flowers, the family request that donations be made to First Baptist Church of Gautier or St. Jude’s Children’s Hospital. A memorial service will be held at First Baptist Church of Gautier, on Saturday, November 17, 2018 at 2:00 pm with Rev. David Aultman officiating. The family will receive friends one hour prior to service, from 1:00 pm – 2:00 pm. To send flowers or a remembrance gift to the family of Ralph "Bud" Rollin Drury, Jr., please visit our Tribute Store. "Email Address" would like to share the life celebration of Ralph "Bud" Rollin Drury, Jr.. Click on the "link" to go to share a favorite memory or leave a condolence message for the family.